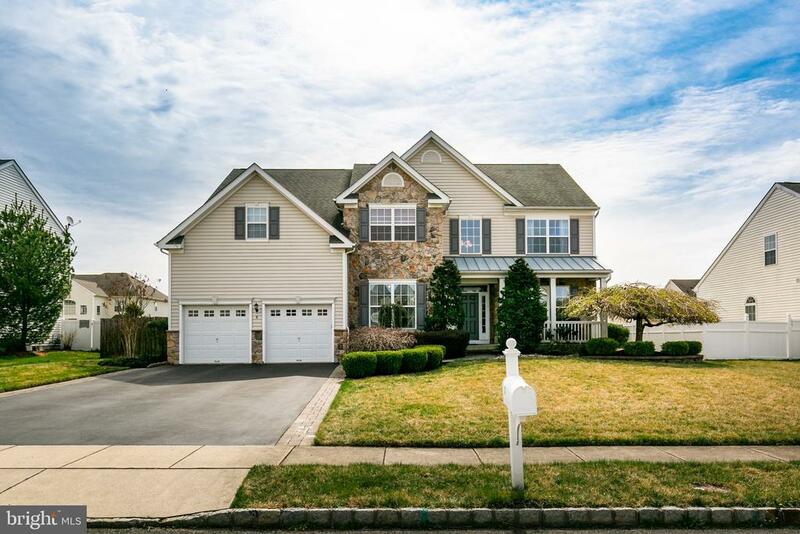 Absolutely beautiful home in Westbury Hunt with load of updates and upgrades! This home has a dramatic two story foyer with hardwood flooring upon entrance. There is a private study just off of the foyer with custom french doors. To the other side of the foyer you can enter the formal living and dining rooms - the living room has ample recessed lighting and the dining room is framed with custom molding and woodwork! The kitchen is very large and includes granite counters, tile backsplash, large center island with seating and pendant lighting, recessed lights and a large breakfast area! The kitchen opens into the family room with cathedral ceilings, new wide planked hardwood flooring, custom windows and gas fireplace! Upstairs are four large bedrooms including the master suite with huge walk in closet and ensuite bath with jacuzzi tub and double sinks. The basement is finished and can be used as extra entertaining space, home gym or playroom! There is also a large unfinished portion offering tons of storage! The outside of this home is spectacular! There is an inground pool with custom pavers as well as a paver patio and large yard providing lots of space for other activities. All of this plus a solar package that completely takes away your electric bill (if buyer chooses to keep). Make your appointment to see this great home today!